Back in spring, we’ve spent a few posts covering the Medias N-04C from NEC Casio Mobile , an Android handset the company calls the “world’s slimmest smartphone”. Being just 7.7mm thin, it beats the Galaxy S II, for example, and at 105g, it’s very light, too. Announced by NEC Casio in February this year, the handset was selling well when it hit the Japanese market a few weeks later (to date, 500,000 units have been sold). And according to Japan’s biggest business daily The Nikkei, the company is now ready to bring the Medias to the US, a move somehow announced last year already (NEC Casio Mobile was formed in 2009 after NEC, Casio and Hitachi merged their cell phone operations). Details are scarce at this point, but it looks like Americans will get a modified version of the phone. In Japan itself, NEC Casio followed up with the N-06C [JP] this summer, a model that’s slightly thicker (7.9mm) but water-proof. The Nikkei says in the US, the Medias will likely be available through Verizon (Casio’s partner in the past) and “other carriers”. 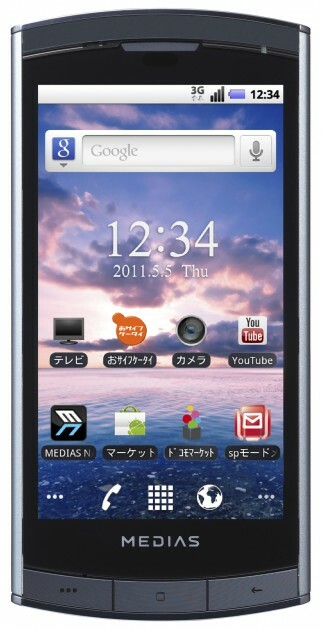 NEC Casio aims at doubling shipments of cell phones outside Japan to 1.8 million in fiscal 2012. To recap, the Media N-04C offers a 4-inch LCD touchscreen with 480 x 854 resolution, Android 2.3, a 5.1MP CMOS camera, a microSDHC card slot, Wi-Fi, etc. Expect the digital TV tuner, the e-wallet function, and the infrared port to get axed in the US version, however.